Scruffs Active – Performance workwear that works with the body. Engineered for functionality to maintain core temperature and to ensure ease of movement. 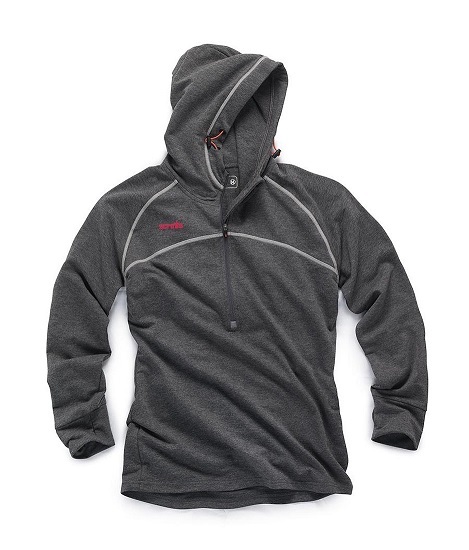 The slim fit Scruffs Women’s Active Hoodie is ideal for layering in cool conditions. The lightweight stretch fabric is breathable and moisture wicking to ensure maximum comfort, whilst raglan sleeves provide ease of movement. Thumb grips to the cuffs hold the sleeves in place, whilst an adjustable hood allows you to create your optimum fit. The lightweight stretch fabric is breathable and moisture wicking to ensure maximum comfort.